"I try to become known to people so that if they are ever presented with an unexpected event in their life, either personally or professionally, that requires legal help, they'll look to me for guidance and assistance to get them through whatever it is that confronts them." Bill Beckert has spent his nearly twenty year career practicing civil litigation in Connecticut. He focuses his practice on helping people and small business that are confronted with challenges that may require his courtroom skills. 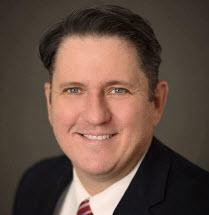 Whether it is an unexpected injury, an insurance issue, a small business problem, a family dispute, or a troubled real estate transaction, Bill has represented both Plaintiffs and Defendants and has the know how to navigate the difficult process that unfortunately, and more often than not, winds up in the Courts. Bill has developed a reputation all over Connecticut as a thorough, prepared, and passionate advocate for his clients. In addition to being a founding partner with Jainchill & Beckert, Bill serves on a panel of approved arbitrators and mediators for the State of Connecticut and Amicus Mediation and Arbitration Group. A resident of Farmington, Bill is proud to serve his community, both as an elected official and volunteer. He serves as a member of the Farmington Board of Education, after having previously served for 7 years as a member of the Farmington Plan and Zoning Commission, Inlands and Wetlands Commission, and Conservation Commission. He is a proud Rotarian and coaches his children's baseball and softball teams. He has spoken to corporate and civic groups on many topical issues, most recently addressing a group of Farmington parents relating to legal issues that can arise from alcohol use by teens and an elementary school in Avon on the Constitution. Bill lives in Unionville with his wife and children.